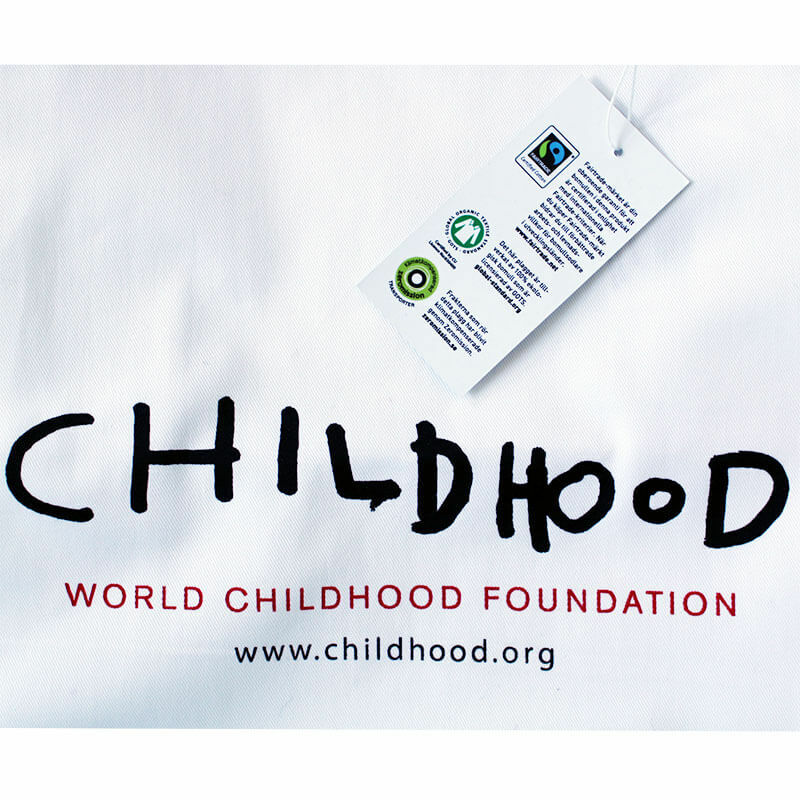 World Childhood Foundation works to prevent child abuse or exploitation. Childhood supports approximately 100 projects around the world who work with children who have been exposed or likely to be exposed to abuse, children in the society’s care, street children and families at risk. The best help comes early. It is easier to build strong children than to repair broken adults. Childhood believe that preventive help give the greatest effect – and we believe in Childhood! Together we have produced canvas bags 100% fair trade-certified organic cotton.